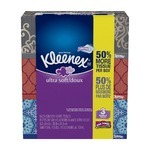 Finally I found the right Kleenex! 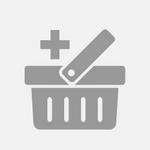 I've ordered several different ones but this one is the one I've been looking for. When you pull it out of the box it doesn't leave any "lint dust". It's soft enough for all the uses one uses "Kleenex". After dealing with a runny nose for a month now, using my Kleenex with lotion is like pampering myself. No more rawness or cringing at the thought of having to blow my nose one more time with sandpaper. I can definitely appreciate the lotion affect but why is it never on sale? 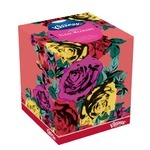 I love this Kleenex, always been there for me. From bad breakups, sick puppies to laughing until I cry. Rarely get a raw nose (of course happens occasionally) and always so soft! This is amazing face was it is my every morning routine. I will never change. At first it's a cool sensation opening ur pours. Leaves ur face fresh and soft. Soft, Strong, 3 ply. Pampers my nose no matter how hard I blow. Well worth the price. Unscented and Large tissues. 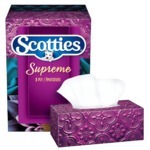 Scotties Supreme is the only facial tissue I purchase. I use this after I shower & wash my face and it really makes me feel like I’m refreshed and ready for bed without fear of acne. I’d definitely recommend this if you’re wanting to try out a new toner!